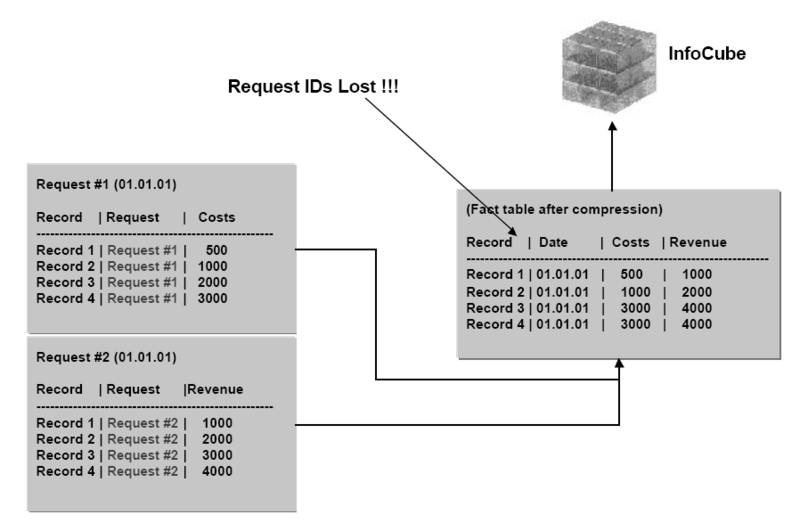 SAP BW InfoCube maintenance has requests which plays vital role.n Assigning a unique key to each request and each data record within the request, means that the requests provide a chronological record of the update process. The unique key is generated by the system. It allows the system administrator to identify any particular upload sequences that result in errors.This function enables you to isolate the particular part of the data packages where errors have been identified and extract only this part.Only requests with green traffic light status update the InfoCube that they belong to. If an error occurs in the upload, all subsequent uploads (requests) are also given the red traffic light status.The red traffic light means that no InfoCube update has taken place. 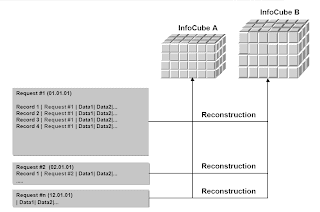 This procedure has been designed to prevent inconsistent data conditions finding their way into InfoCubes. You can start rolling-up the requests for constructing aggregates immediately or in the background.You can display existing InfoCube aggregates and their logs.If activated aggregates exist for the InfoCube and you load new requests into the InfoCube, you have to roll-up these new requests in the aggregates as well. The new requests are not referred to during the execution of a query until you do this.Data packages are given the green traffic light status when the quality of the data in them has been assessed and approved. You can use the roll-up to load these data packages automatically. You can compress an InfoCube by deleting the request IDs. 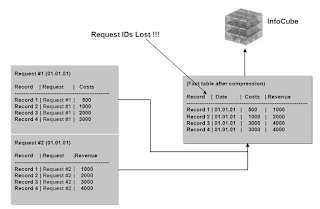 This saves space on the memory.This function is critical, because it means that you are no longer able to use the request IDs to delete the compressed data from the InfoCube. Before you proceed, make sure that the data in the InfoCube is correct.You must compress the InfoCube at regular intervals. This saves space. You can reconstruct an InfoCube from the requests that have been uploaded already. 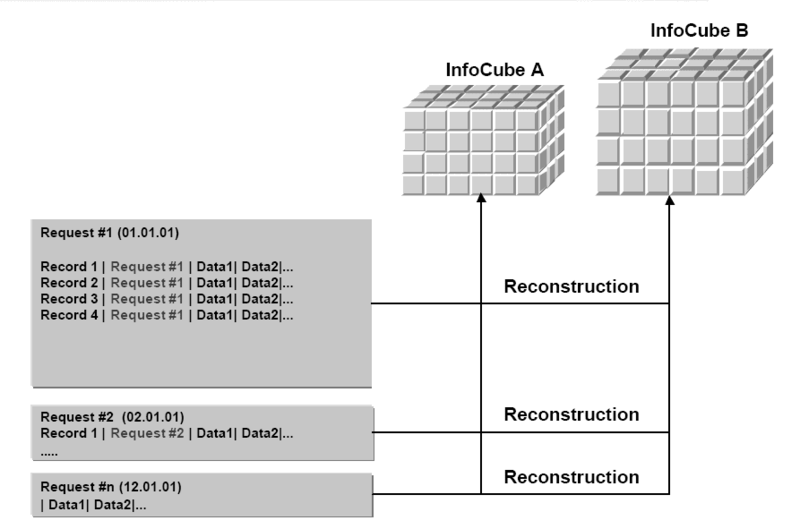 You can use these requests to reconstruct the current InfoCube or a different InfoCube.